Alex Walkingshaw Joinery is a well established, trustworthy, reliable company with over 15 years' experience. We are based in Dalkieth and cover Edinburgh and surrounding areas (Lothians). 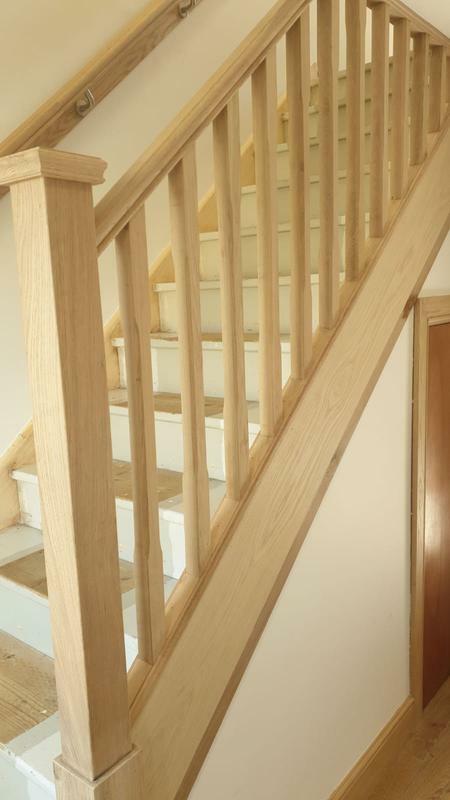 "Alex fitted a new bannister and handrail for us. He responded to our message through trust a trader very quickly and provided us with a quote within a few days of coming to look at the job. He also offered a competitive quote. In terms of the work done, we were delighted! Alex has made attention to the smallest of details and as you can see from the photo the overall work was great. In addition, he was always on time and was very clean and tidy. We also recommended him to our friend who asked for details after seeing a photo of his work." "New kitchen fitted. Alex was very thorough and meticulous and his workmanship is first class.Alex provided all trades involved with the work. Alex was punctual and cleaned up at close each day. Very approachable and explained all aspects of the work. Nothing too much trouble. We left Alex to his own devices to get on with the work while we were at work. Totally trustworthy. Highly recommended." "Fitted my kitchen, done a great job. Helpful with ideas, friendly, very reliable. Left the place clean every night. So glad I went with Alex, great job." "We had 2 or 3 bespoke bits of joinery work needing done and Alex has completed these to a very high standard. We were very happy to allow him to do the work after he was recommended to us by a friend. His initial quote was spot on and he impressed us with the way he spoke about the plans for the work. On the days of the work he was always punctual, professional, trustworthy and friendly and communicated with us throughout offering advice along the way. When we asked for additional bits of work he did these with no problem at all. He is very meticulous about his work and is genuinely proud of what he does. A huge bonus is that he will leave very little mess! We will be be asking him to do all our joinery work in future without a doubt."